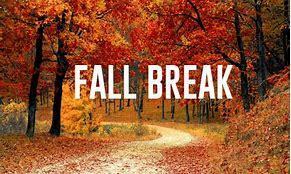 Magazine School District is starting it's first Fall break and students along with teaching staff are out for the next two weeks to relax, refocus and rejuvenate. Everyone worked extremely hard to make the first nine weeks a success for us! We will be holding gap filling and enrichment for those students whose parents have signed them up during the intersessions. We will be serving breakfast and lunch everyday and teachers will be working with students on Tuesday, Wednesday, and Thursday from 8:00 am until 12:00 pm to fill gaps that were identified during the first nine weeks. Have a great Fall break!!! !